Now who would think a Bar-B-Que place would have a great Mediterranean Platter, but Rudolph’s does. I had to share this with you because I love this dish, it is spicy and unexpected. If someone hadn’t told me to try this Plate, I never would have ordered it off a menu that is mostly meat focused. Who goes to a BBQ place and orders a Mediterranean Platter? 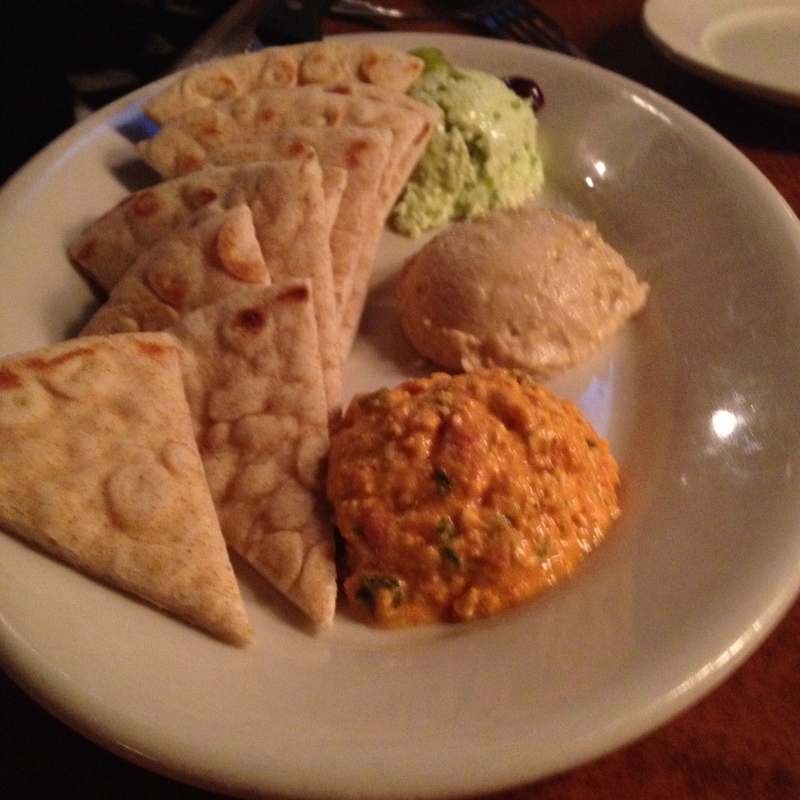 On this plate they have spicy feta dip, hummus, and this green stuff called tyrosalada. I have no idea what the green stuff is but it is AMAZING! My best guess is some sort of jalapeno feta dip. You might not know that Rudolphs was first opened in 1975 by Jimmy Theros. During this time period there were many BBQ “joints” but not restaurants. Jimmy wanted to open a place where BBQ was elevated and enjoyed with a touch of class, because we are classy in Minneapolis. After traveling around and trying BBQ from all around the country, he finally decided on a recipe of his own. If you are new to Minneapolis, Rudolphs is a place in the middle of uptown and downtown on Franklin and Lyndale with the huge neon rotating sign. 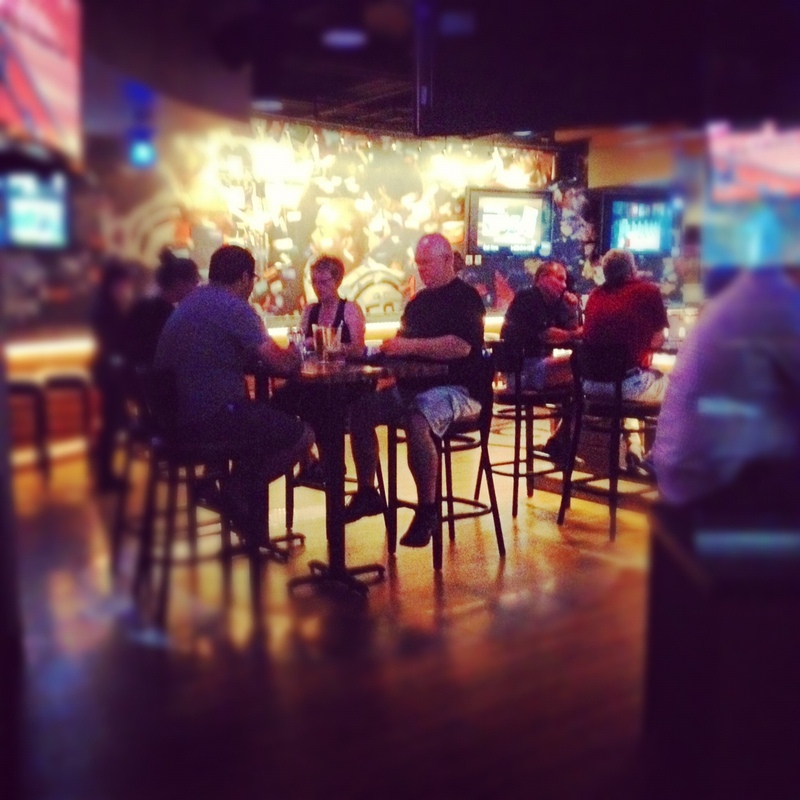 They have a happy hour that lasts until 7PM Monday – Friday and a great beer list. Also a great place to go for a diverse late night crowd if you are no into the whole cowboy bar fad. because “green stuff” is yummy. 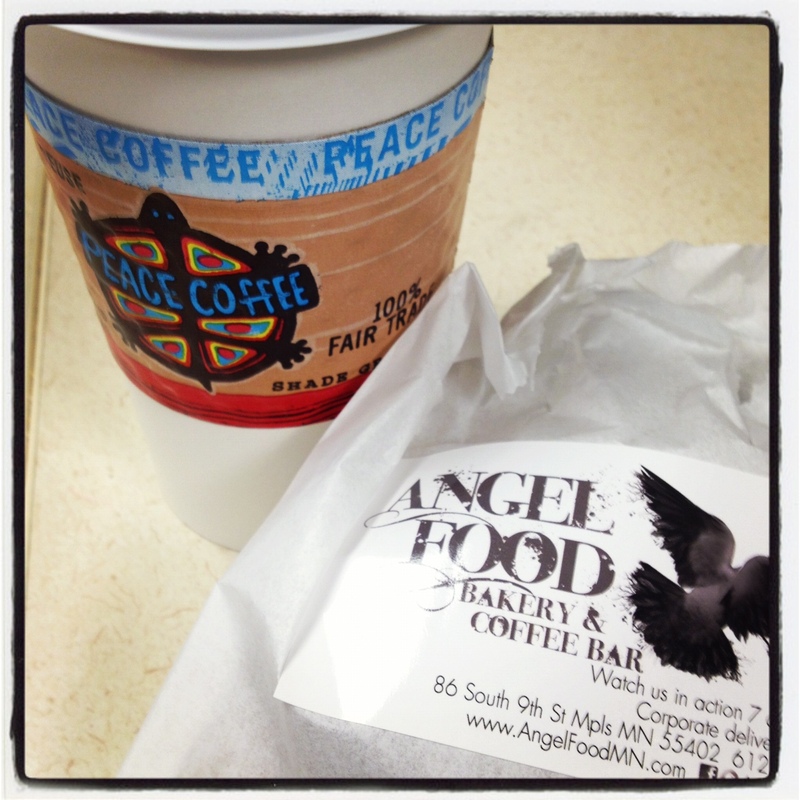 When I have had a long week, I love to stop by the Angel Food Bakery in Minneapolis for Peace Coffee and a treat. My favorite treat from Angel Food Bakery are the chocolate chip cookies. I say cookies because I can never buy just one. They are amazing because they have several types of chocolate and a salty balance which makes them delicious. The chocolate also stays melty. The brownies are yummy too. I like the ones that come with caramel in them and right when they are out of the oven. Having a cup of Peace Coffee with all of their treats just makes it more delicious and you more caffeinated. I am sorry to say that my least favorite items on the menu are the cupcakes. They are pretty and fun. But the frosting on some of the offerings tastes like plastic. I keep trying them thinking that they will get better, but so far I have been disappointed. Props to the owners of Hell’s Kitchen/Angel Food Bakery for taking a stand against customer complaints about their stance on the Marriage Amendment. In their newsletter they made it very clear that they support Minnesota United for all Families and will not stop supporting this cause due to customer threats. Good for you. because sometimes you need a treat. Named appropriately, Real Meal Deli has awesome lunch offerings in the Minneapolis Skyway. Walk right by the Subway, Taco John’s, and Starbucks to a non-chain fast food deli. Real Meal Deli gives people a fresh, affordable, and minimally processed menu. Started by a chef who has been working in the restaurant business since 1986, he wanted people who work in areas where there are many fast food offerings to have a place that is fast but fresh and healthy. A trend he thinks will never go out of style. As you can see above, this place offers a meal with color. Red, green, purple, and yellow make for a beautiful lunch. My favorite item on their menu is their small sack which includes a small salad, cup of soup, and bread for under 7 dollars. 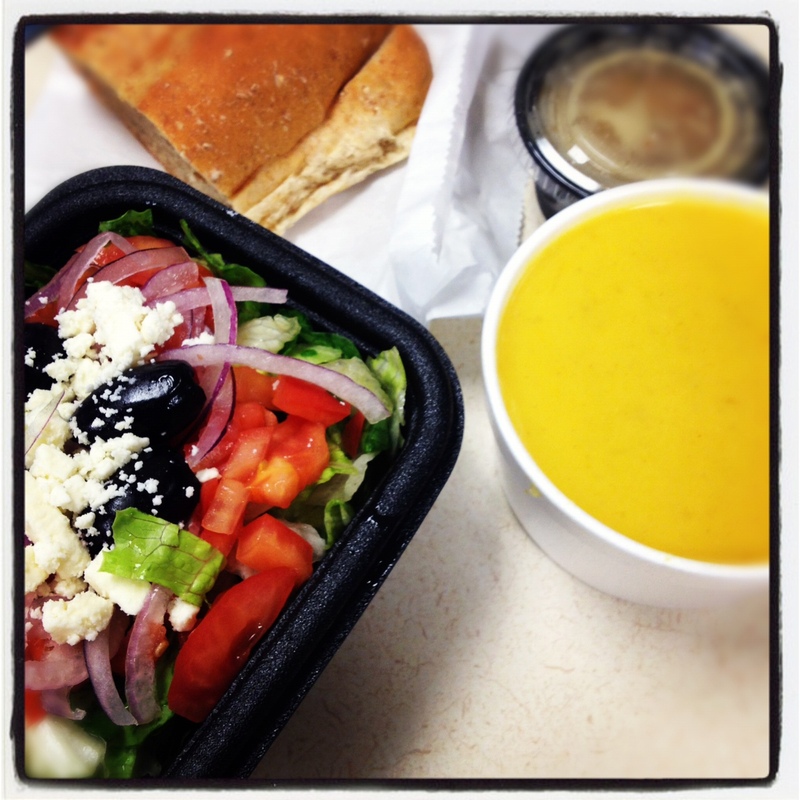 When you order this lunch you have the choice of over 12 salads and 3 different kinds of soup. If you can, try the curried butternut squash soup. It has a hint of curry and is perfect for a fall day. The sandwiches are also very popular and next time I am going to try the Cranberry Goat Turkey Sandwich. Is Thanksgiving here yet? Real Meal Deli can be found in Minneapolis at the Baker Center and the TriTech Center and in Saint Paul at the 1st National Building. They each have different hours and some of the locations serve breakfast for under 5 dollars and a lunch special. Have an event coming up? They also cater. Under 10 dollars a person you can get an awesome lunch or breakfast. because fresh and local never go out of style. 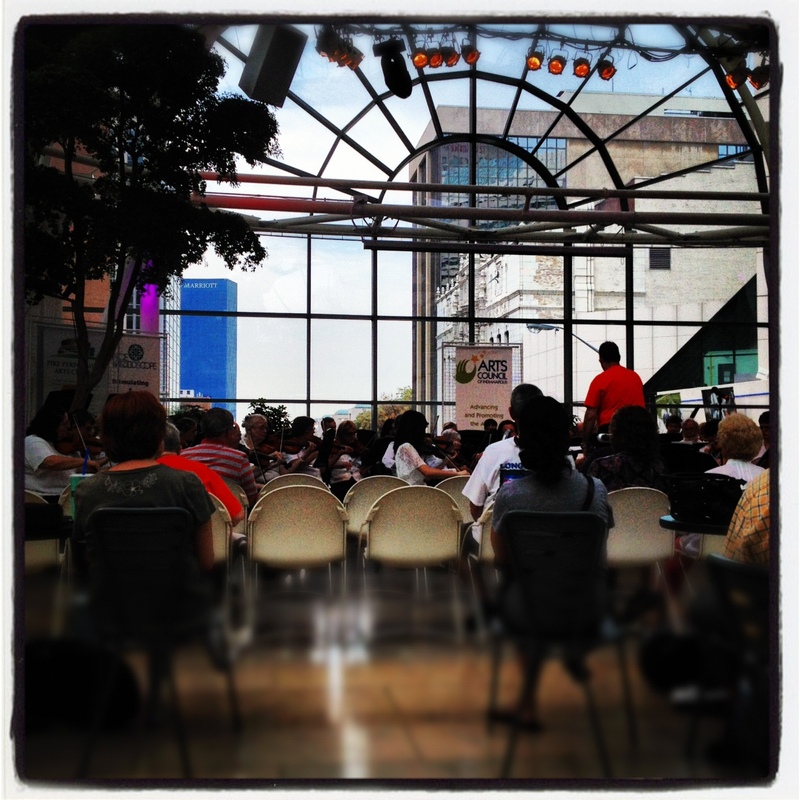 What is your favorite place to eat in the skyway? Who actually offers cooking classes for free? Well, yumPower does. Want to learn healthy recipes? Are you in a food rut and sick of making the same meals over and over? There are free cooking classes with Cooks of Crocus Hill that are being offered in connection with yumPower! Go to the yumPower website and sign up. They are being held at both the Shoreview Community Center and the Saint Louis Park Rec Center from 6:30-8:30PM on a few dates in September-November. You can choose from the topics of Ditch the Diet or Family Meals in Minutes. Along with walking away with new recipes and skills you will also get a swag bag for attending the class. Remember those hilarious commercials with Andrew Zimmern from Bizzare Foods eating spiders with children during lunch? That commercial is part of the yumPower campaign to help people eat healthier. A topic that Andrew is passionate about. He decided to partner with Health Partners a health insurance provider in Minnesota who started the yumPower campaign and recently teamed up with Park Nicollet. But, you do not have to be a Health Partners member to go to the cooking classes or to use the website. This is only one part of what the health insurance companies in Minnesota are starting to try and combat obesity. The yumPower website offers a restaurant locator which shows you healthier items on the menu and a My Kitchen section that offers healthy recipes. because what is better than something fun that is free! 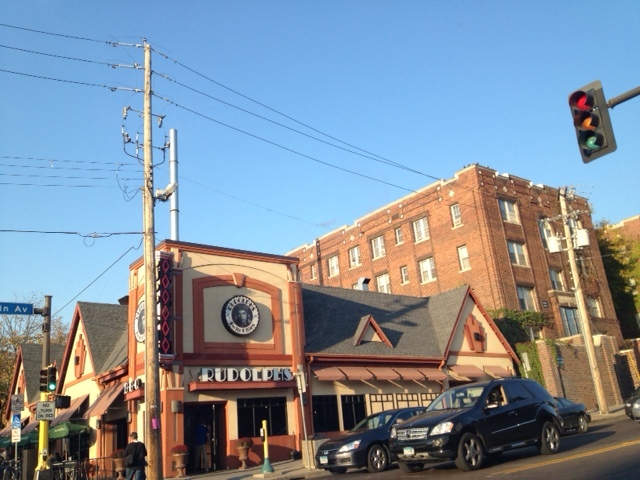 I want to move into the Selby-Dale neighborhood because of this restaurant. 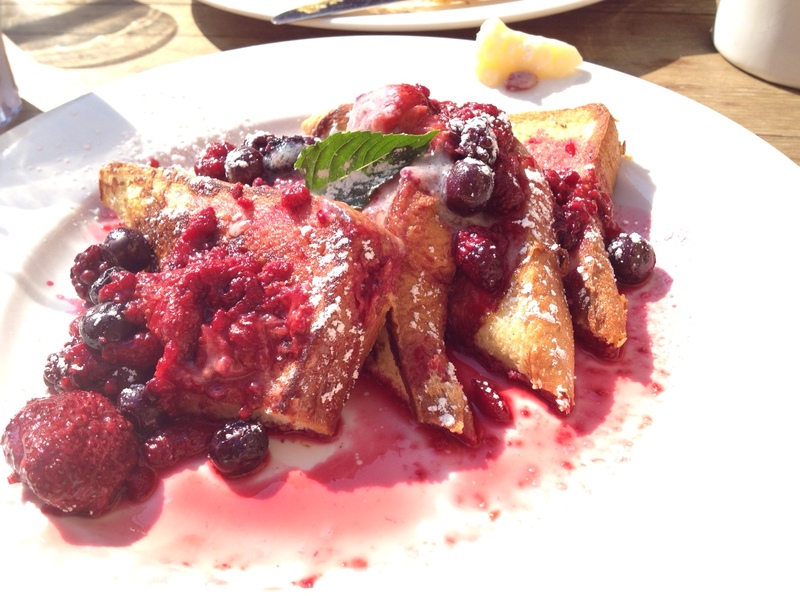 Cheeky Monkey does breakfast, lunch, and dinner right with fresh, local, seasonal fare. I cannot tell you how much I have enjoyed the food here. This visit was the first time I had been on the patio out back. It is beautiful. I would suggest sitting there on a warm fall day. I went here for brunch where they had available both the brunch menu and the lunch menu. I opted for the french toast which is pictured above and as you can tell it was delicious. The berry compote was to die for. 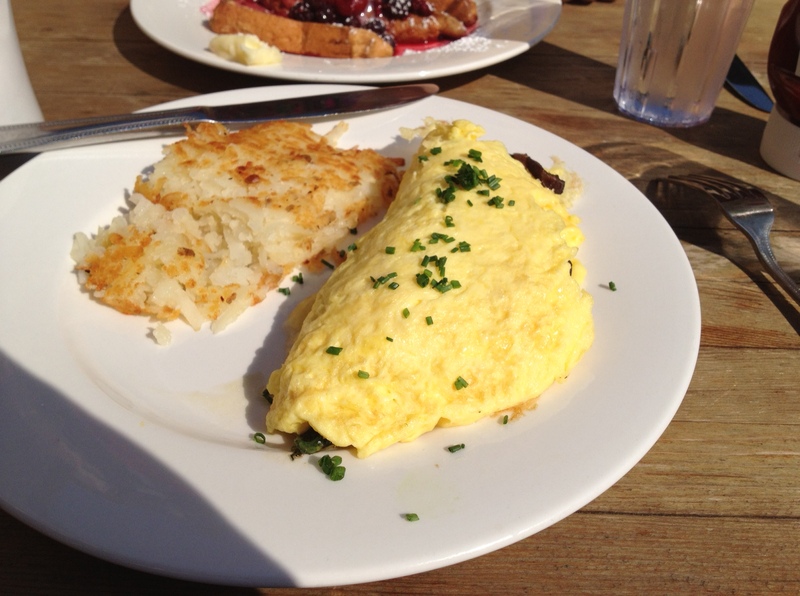 We also had a mushroom and brie omelette with the hash-browns after seeing someone else eating it. I would also suggest the coffee here, it is very good and made correctly. The servers always keep your cup filled. I love going here for a calm meal. 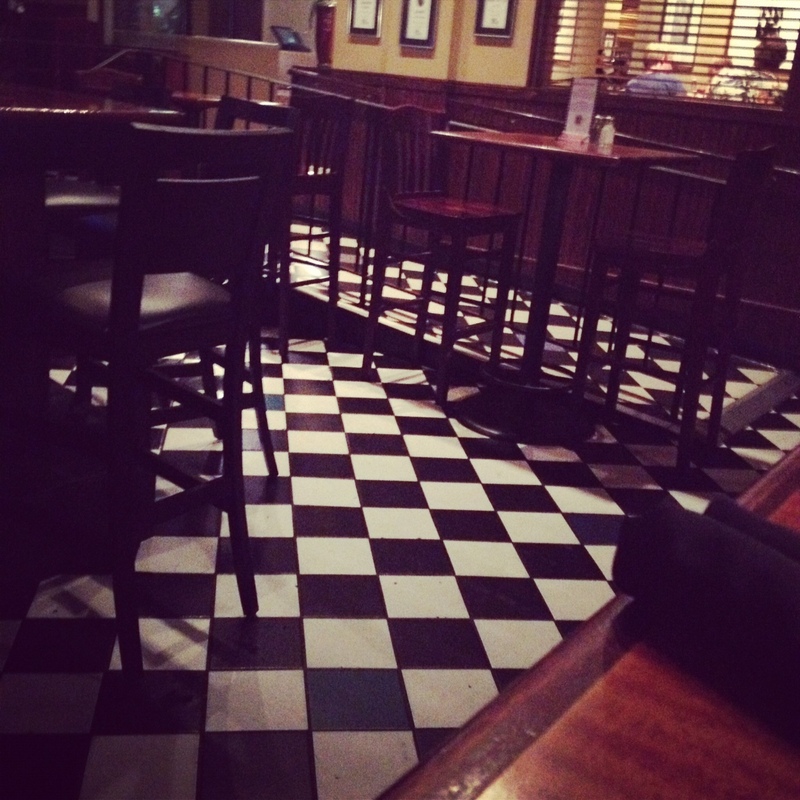 It is a relaxed atmosphere and the food is great. The prices are right as well. because a good brunch can make a weekend great. I am not sure if I ever would have thought of traveling here if it was not for my cousins wedding. But, it ended up being a pretty good vacation. 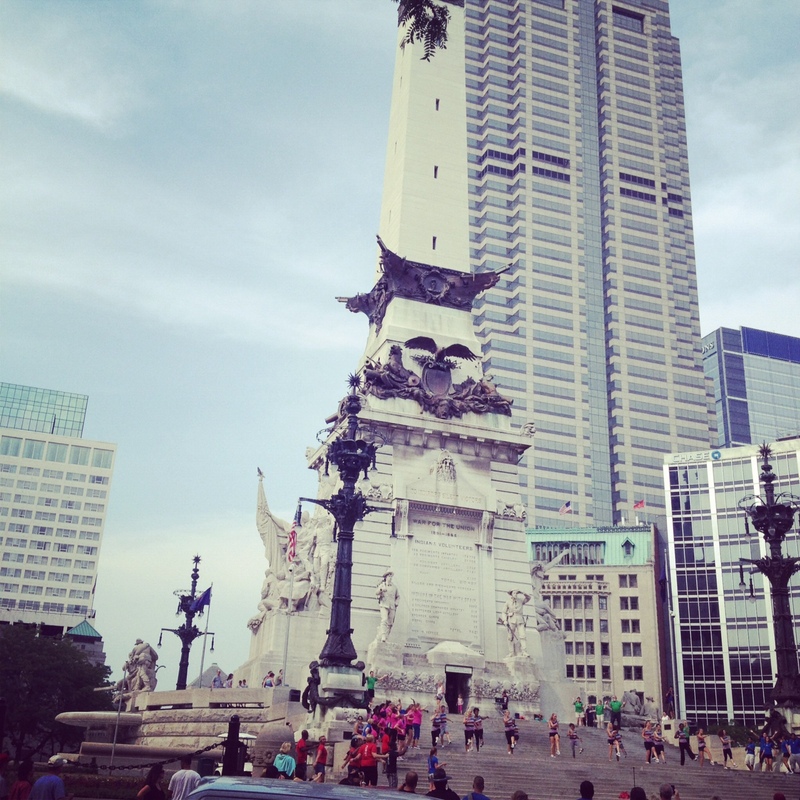 If you are looking for a city that is relaxed and easy to walk around, Indianapolis would be it. Indianapolis is only 10 hours away from Minneapolis and the drive is not too bad unless you hit traffic near Chicago. 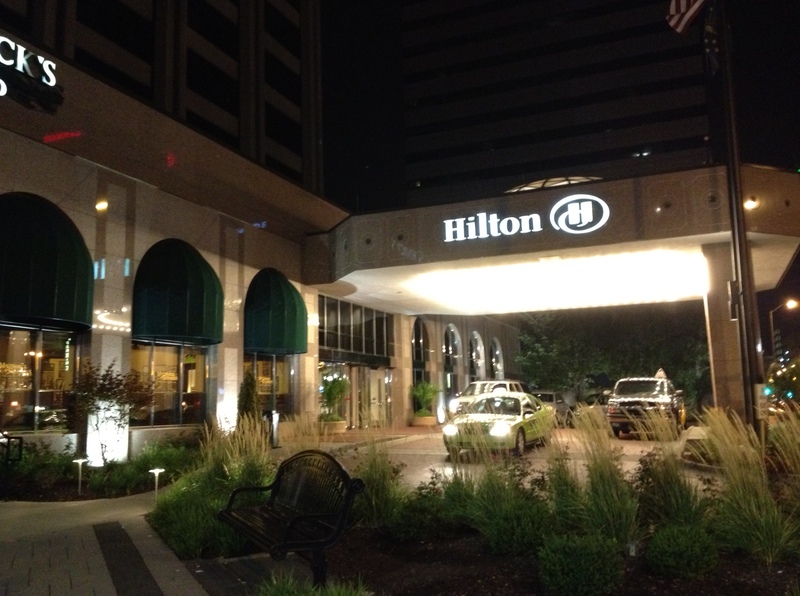 Firstly, I have to mention our hotel. It was great! I have never had this spacious of a room. They also had water in the lobby and two attached restaurants. The beds were comfortable and the halls were quiet. The pool area was a bit small and it was really hot that weekend. So, more pool area would have been better, but not a deal breaker. There were also some great views right outside the hotel. You can walk to many of the monuments and historical areas. I wouldn’t recommend the breakfast at the hotel. The service was not great, they wouldn’t let my family sit by each other but still charged a group rate. One of my cousins was served a moldy bagel and did not apologize or take it off the bill. I had one experience there and it was also not good. I needed something to go and it was foreign to the worker, even when there was a posted take out menu. 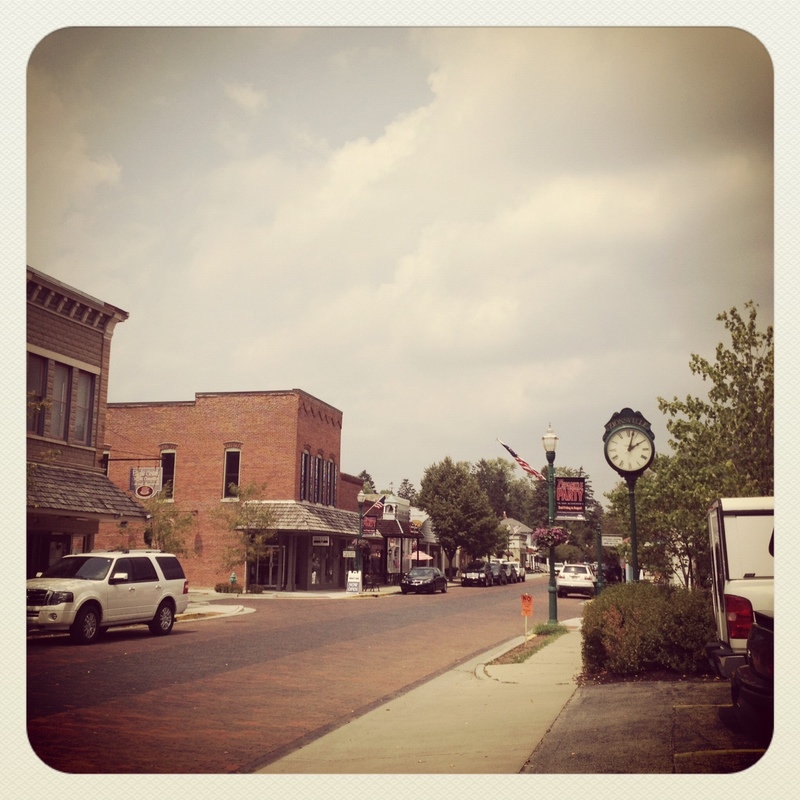 My favorite part of the trip other than the wedding was going to a small town called Zionsville. It had it’s own Bentley dealership. It is a town that is full of little shops and quaint restaurants. We had lunch at the Cobblestone Cafe. I wish it was not blisteringly hot as it was because they have a wonderful patio in the alley. Instead we sat inside and ate wonderful food. 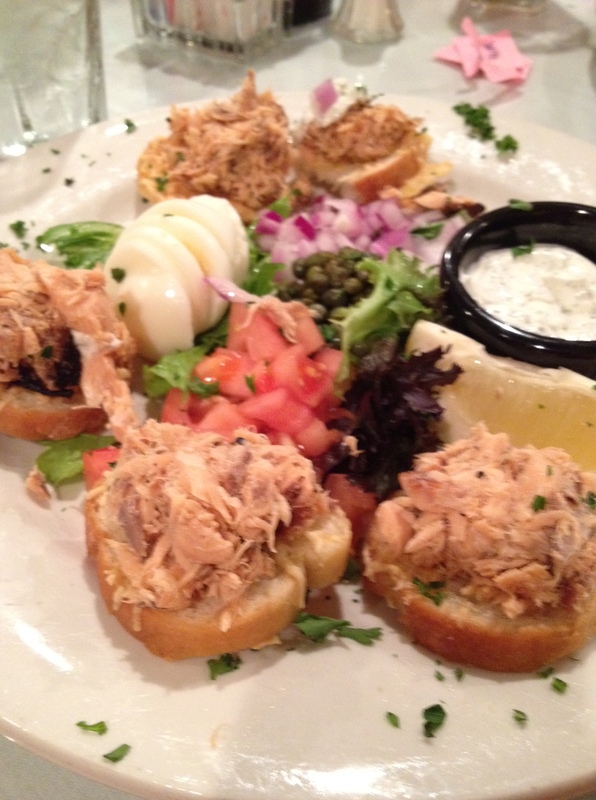 I had a salmon plate and a taste of a few other items on the menu. 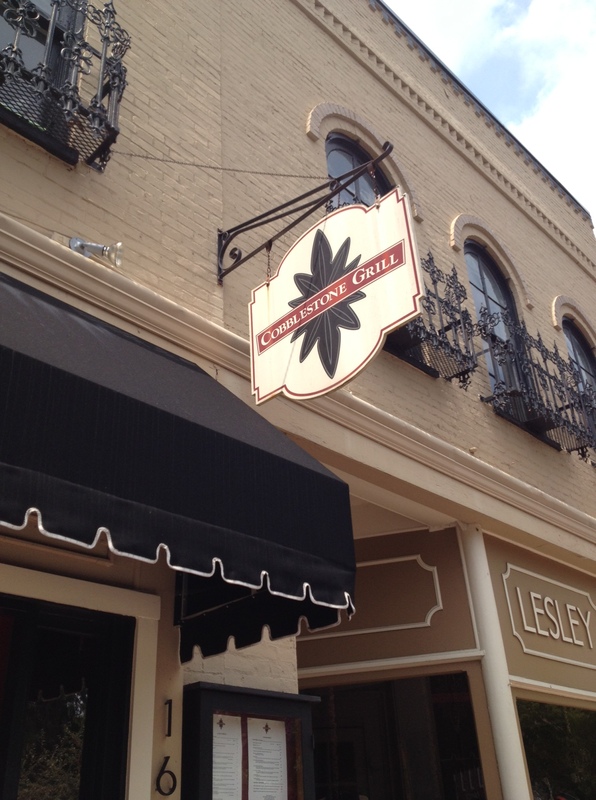 If you go to Zionsville you need to stop at this cafe. It is everything I love about a small town restaurant especially the fresh food. 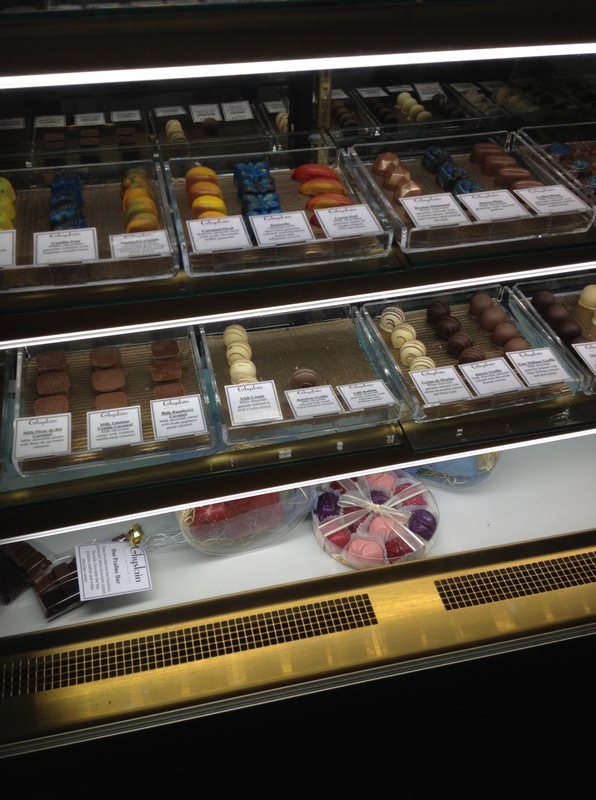 We also made stops at a chocolate shop called Ghyslain which was completely unexpected. 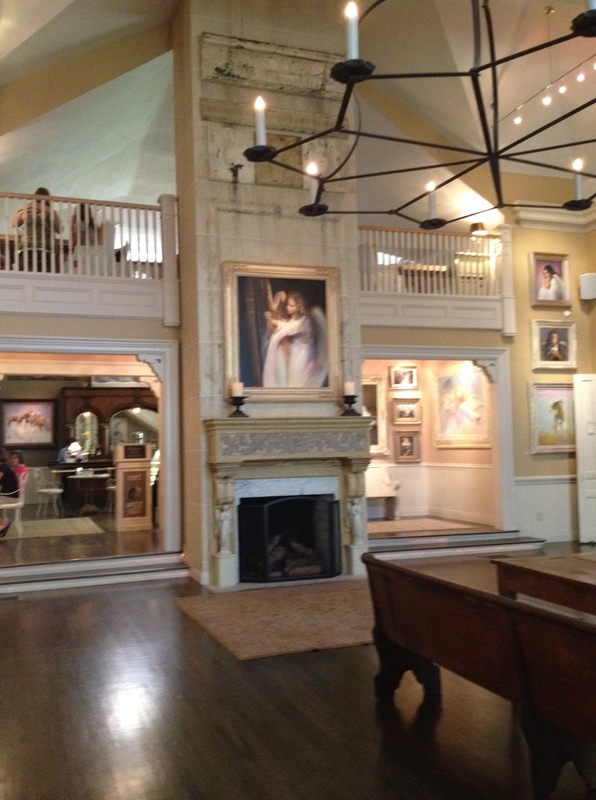 It was housed in a beautiful old church with artwork on it’s walls. They had a lunch menu and a case filled with desserts. I bought a box with many different kinds of chocolates. 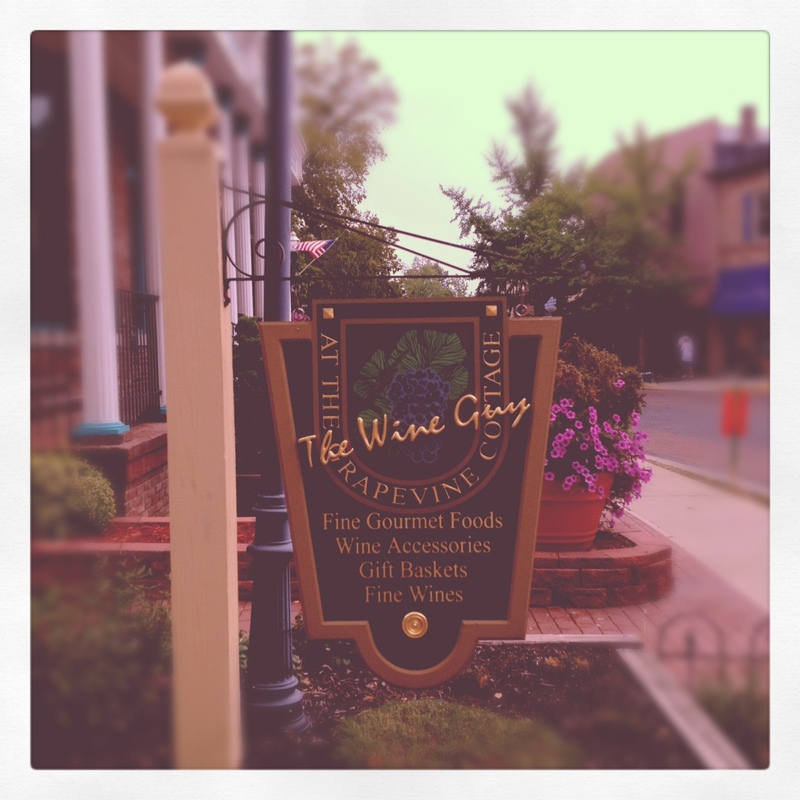 We also stopped at a wine shop called The Wine Guy where they had an excellent selection on reasonably priced wines. I would love to have a shop like this right near my home. They also sold gift baskets and gourmet food items. 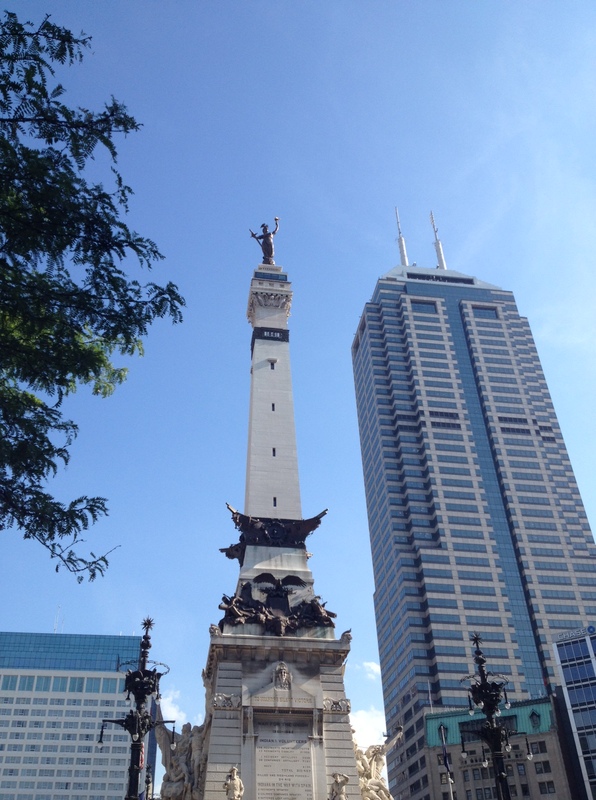 After this trip to Zionsville we explored more of downtown Indianapolis. 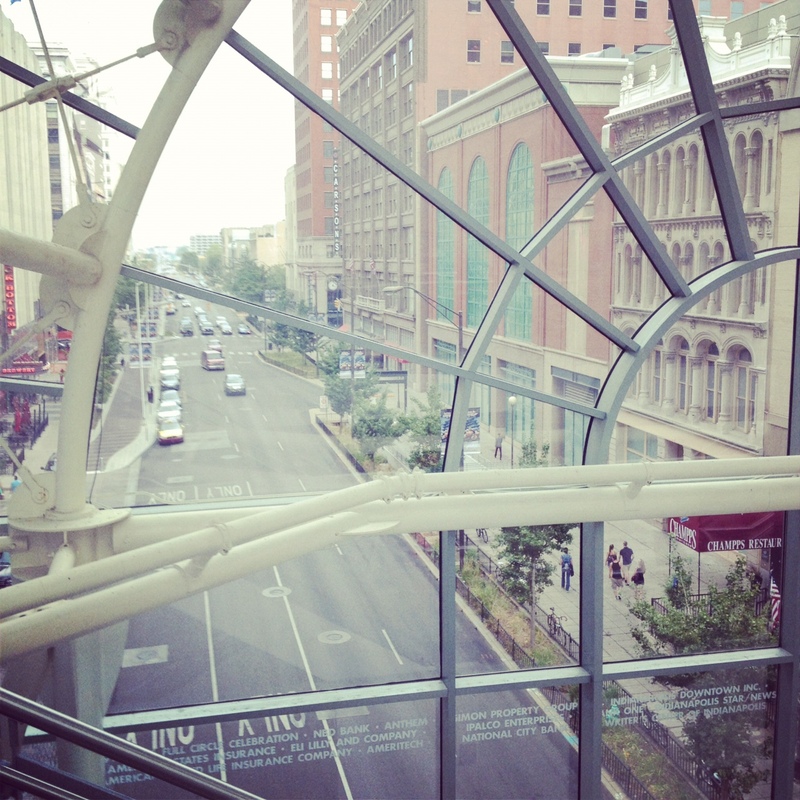 We saw this large glass structure when we were walking around before and wanted to see what it was. It was a garden/concert venue that spanned the area between the streets in downtown. When we got there there was a concert going on. What a great little venue. I would love to see some of my favorite bands in this close and unique setting. 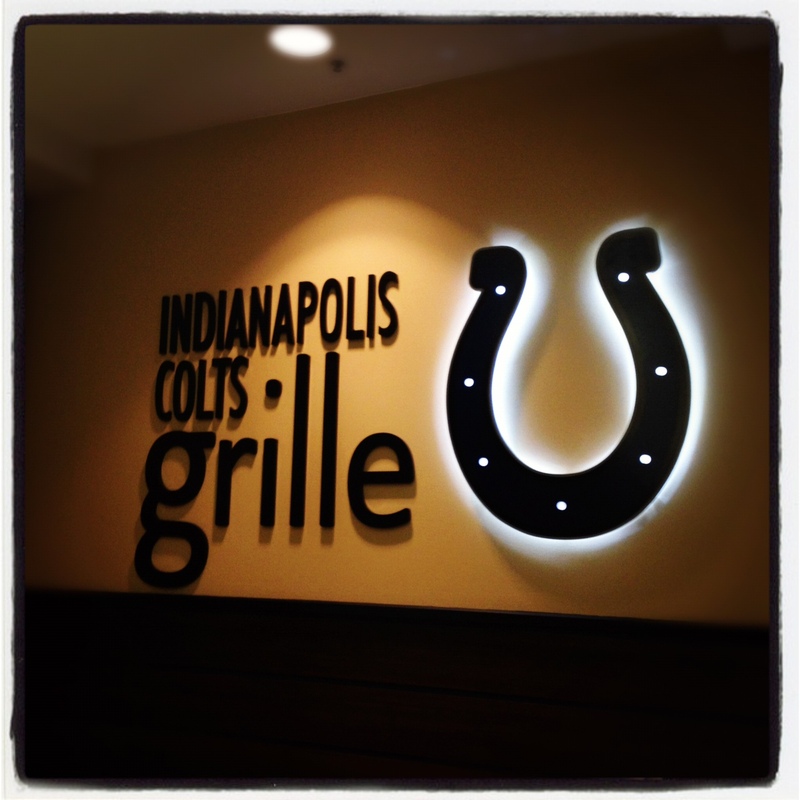 That night we went to eat at the Colts Grill which was the only restaurant that could house my whole family without a previous reservation. I now know why it was so easy to get in there. This restaurant committed some major fouls in the restaurant industry. First, it sells itself as a bar with craft brews, when I asked what was on tap the server could not tell me he had to find a menu and that took at least 10 minutes. I ordered a beer off that menu and it turns out it is not actually on tap right now and I ordered another one. It took almost 30 minutes to get a drink. We ordered and waited and waited. Which was fine because we had good company. But, when the food finally came out, I had a completely different meal then I ordered. I told the server that I am a vegetarian. So, I purposely ordered a pasta dish that came without meat. He must have ordered the wrong one when entering it in the system. He apologized and brought out the right dish. Which was not good anyways. We got the bill without any comp on it. Then to make things worse I went to the restroom and of course picked a stall without toilet paper. Only to come out of the bathroom to find about 8 workers standing around the hostess stand. The bar area had a good vibe. But, I definitely would not recommend going here if you make the trip to Indianapolis. Actually, I wouldn’t be surprised if it already closed. While we had some free time during an afternoon we spent time at the monument. There was a flash mob there one day when we were hanging out. It was really neat to see a bunch of people dancing together. We then made a big mistake by thinking we should climb up the stairs in the monument. BAD IDEA. Especially, if you get a little claustrophobic. This is not the time to be a cheapskate. 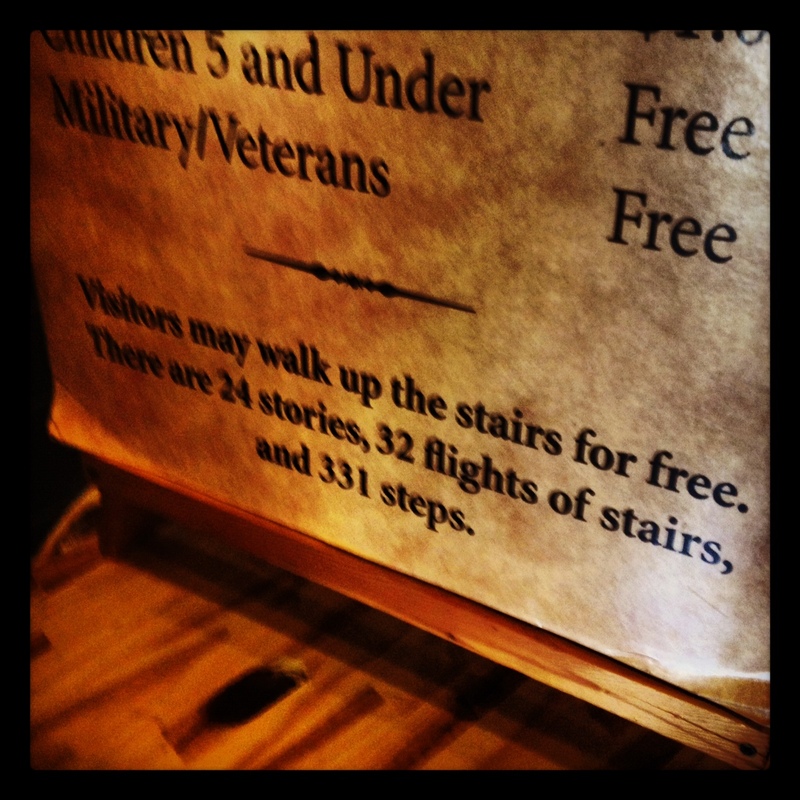 331 steps later I made it to the top and then took the elevator back down. All in all, it was a great trip. There is not too much to see in Indianapolis so a weekend is the right amount of time to see the sights, try some food, and go to Zionsville. Because it is nice to get away to somewhere you have never been before. My plan was to never share Aristos on my blog because it is my special place. It is my place to go if I want a good Greek home cooked meal. 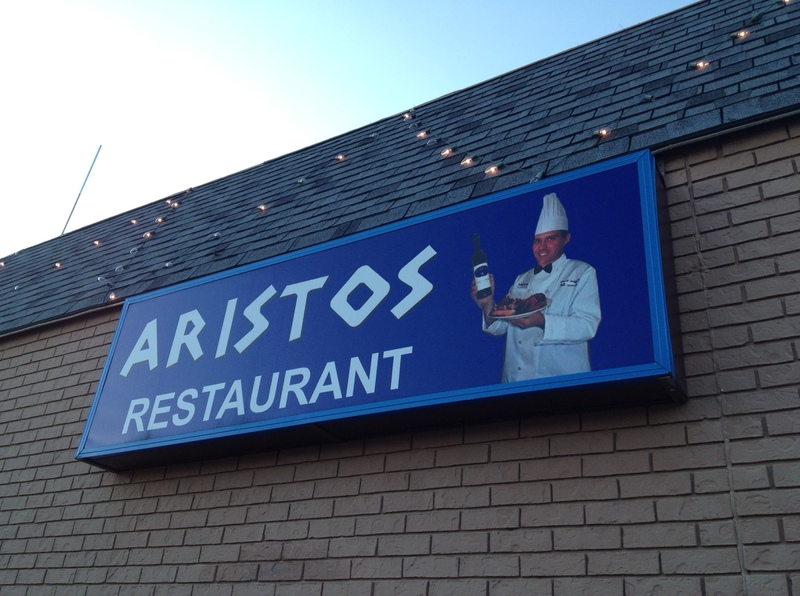 Aristos specializes in homemade Greek and Mediterranean cuisine. 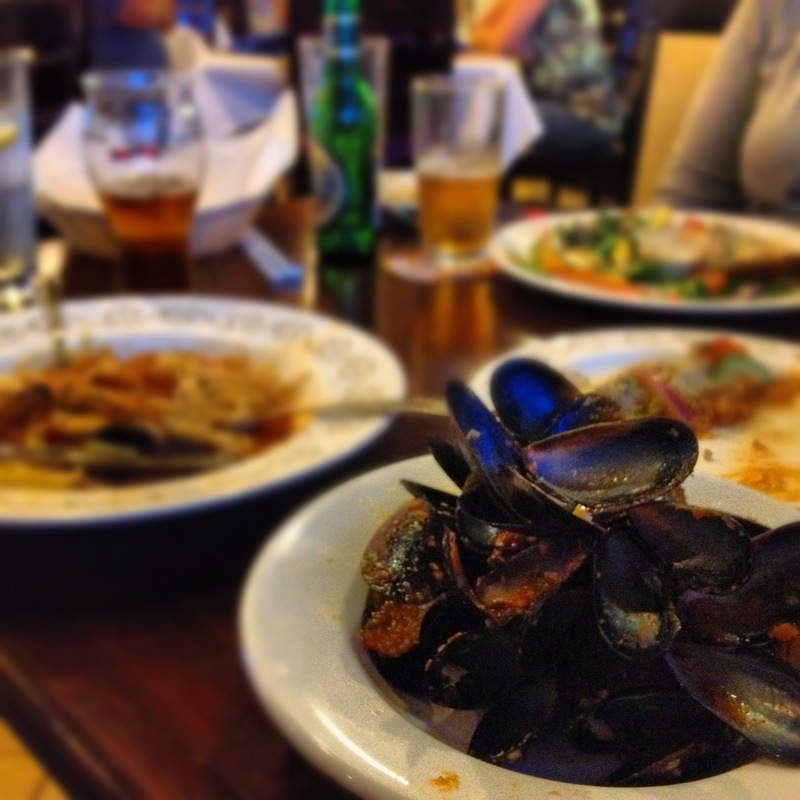 I knew it was not fair to my readers and to Aristos to not share this wonderful restaurant. When you pull up this place looks like a cheesy Greek family restaurant straight out of My Big Fat Greek Wedding. But, don’t let the looks fool you. The cooks here know how to make real Greek food. You need to start with some of the cold appetizers, I suggest doing the combo and getting 3 or 4 different kinds. You then can bring some home with you for the next day. If you can resist not eating them all right away. Also, try the soup. 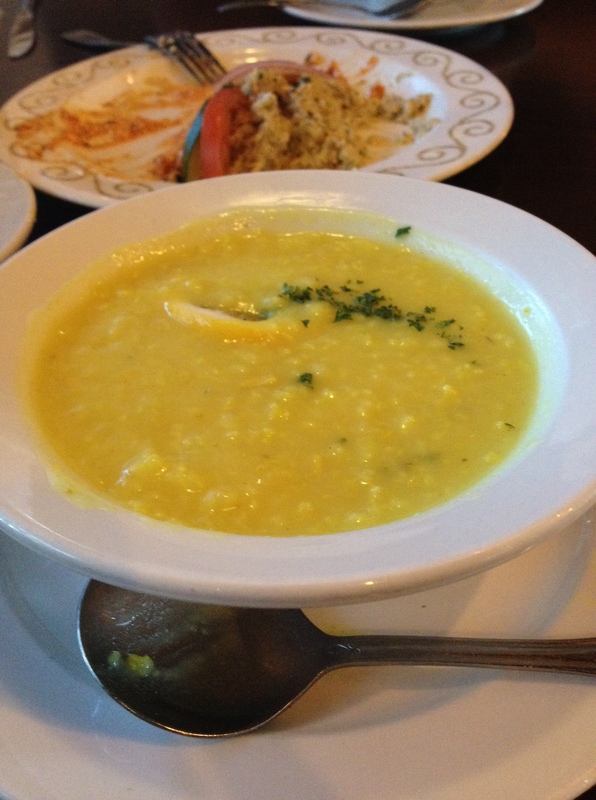 I love this lemon soup because it is light and a great way to start the meal. Never-ever-ever order the french fries. Not because they are not good, but because this is a Greek restaurant and they do all the other sides much better. I would not order the sandwiches either just because their entrees, meat, and pasta dishes are great. I have had the falafel and gyro plates and both are great. 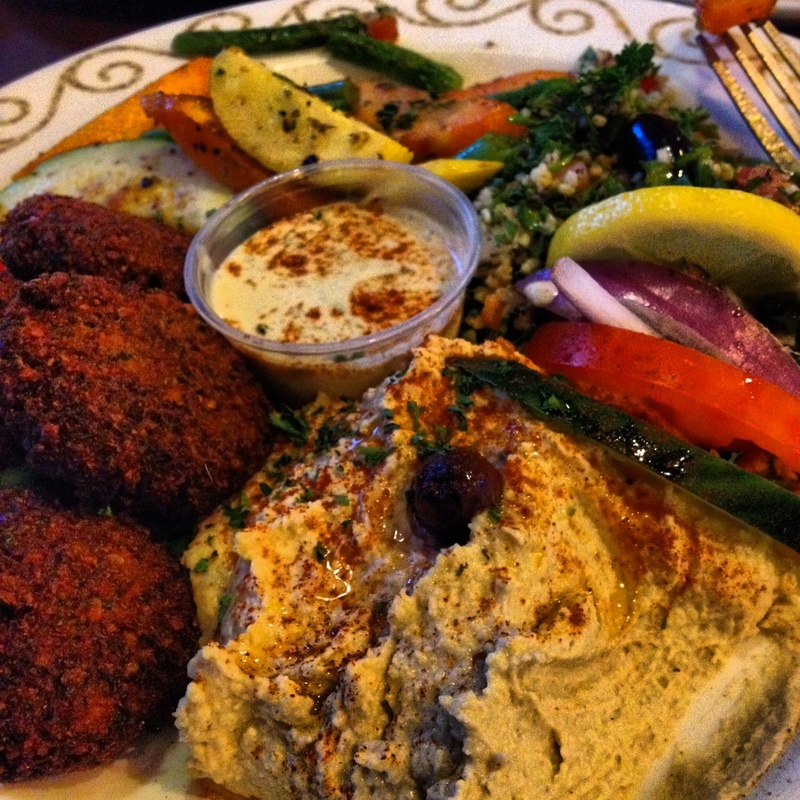 Below is a picture of the falafel plate. But, what is even better than the meals listed above are the specials which are listed on a white board right when you enter. These have always been the best. 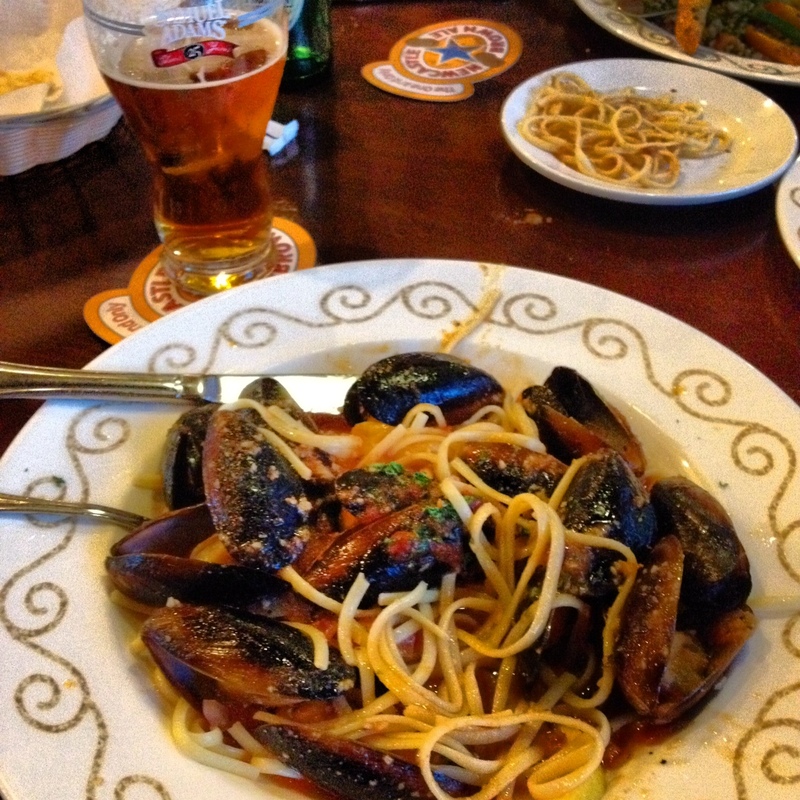 This time we had the mussels in white wine and linguini. As you can tell from this picture, it was good. They also have beer and wine for great prices. 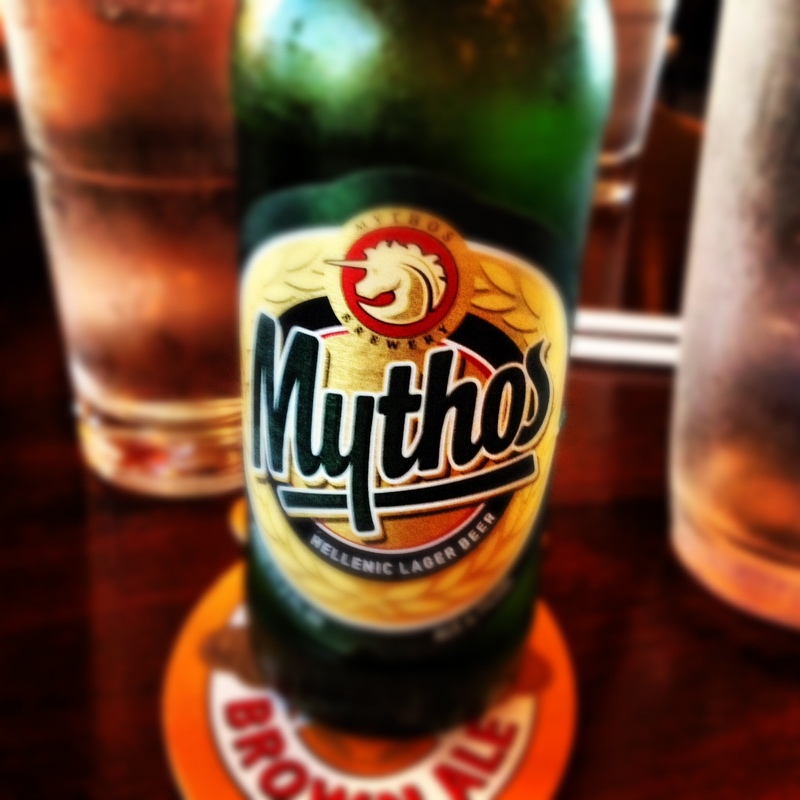 Including Mythos a Hellenic Lager Beer. It’s tasty with Greek food. My goal is to one day take a cooking class from the cooks here. Yum! After your meal head down to Stillwater and get a drink at one of the bars or walk around by the river. It is a great place to spend a fall day. Because it’s time to go Greek.